Short and slick is what makes this hairstyle great. 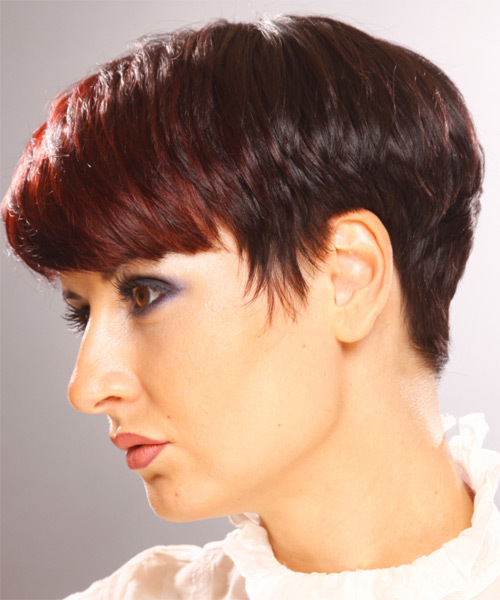 The back is tapered down to the neck with graduating layers cut up to the crown to form this brilliant look. The creative use of different red tones adds a splash of shine for a flawless finish.